founder of The Healing Arts Medical Center and AwakenHealth Medical Center. Dr. Pharo's Vision is to empower each person's individual choice for health through Integrative Medicine (blending Conventional and Alternative Medicine) and "AwakenHealth Programs". I am Dr. Arlette Pharo, D.O. founder of The Healing Arts Medical Center and AwakenHealth Medical Center. I am a licensed physician in the state of Texas. I specialize in Integrative Medicine. This integrative "blend" provides my patients a diverse spectrum of healing modalities to "Awaken Health" and the opportunity to experience the best of both worlds -Traditional and Holistic Medicine. The quote you see on my website "Treating The Unique Individual, Not Just Symptoms" means I believe in YOU, and your individual health needs. Symptoms may present in a similar way with various patients, however, the best healing path can be quite diverse for each individual. My treatment programs are not the same (one size fits all) for everyone. I provide quality time to discover each patient's unique health needs and custom design the best "AwakenHealth" Treatment Plan and Healing Direction for each individual. I would like you to understand my vision and philosophy that has developed into "AwakenHealth" over the 25 years that I have been in private practice as a Holistic Family Physician. I have discovered that in today's "hurry-up-world" some very important healing ingredients are often missing in most traditional medical practices. The success in the equation of healing often includes a number of healing modalities, treatment plans, therapies, medications, ingredients, components, various medical practitioners and physicians. However, the important constant in every equation that often gets left out of focus is the most essential…You! I strive to add more to my New Patient Appointments and Treatment Programs than just looking at a patient’s chart and treating apparent symptoms. I want my patients to have time to share their experience, voice their opinion and participate in our search for the underlying cause of symptoms. I want all my patients to understand how their unique medical history, lifestyle, age, stress factors, diet, family and work environments all influence the function of their health. I help my patients understand the cause and effect of illness as well as empower their understanding about their choices for wellness, prevention and awakened health. 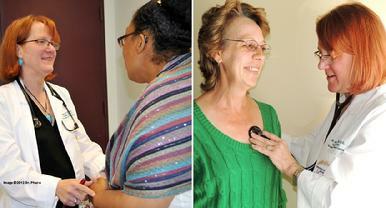 My "AwakenHealth Programs" encourage a deeper understanding and a commitment from you, the patient. 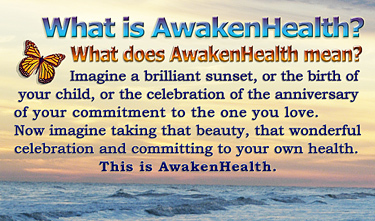 Hopefully you are now asking, "What is AwakenHealth" ? Good. These are some of the first steps in Awakening Your Health: Asking questions, taking time to get new information and opening your mind to new possibilities. This is my vision for AwakenHealth. It's all about you! 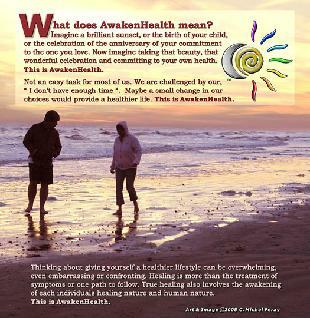 For more information, I invite you to continue reading the section below: "What Does AwakenHealth Mean?" "The most essential element in your healing is YOU!" Dr. Arlette Pharo, D.O. graduated from Richard Stockton State College in 1975 with a B.S. degree in biology and minors in Chemistry and Philosophy. After she graduated from Stockton, she attended General Theological Seminary for one semester to obtain a Masters degree in Theology. She went on to teach chemistry for seven years at The Hun School in Princeton, NJ and The Trinity Valley School in Fort Worth, TX. During her teaching years she received her Masters of Education from Texas Christian University in Fort Worth, TX. With the help of a wonderful friend who taught at Texas College of Osteopathic Medicine, he encouraged her to take all of her education, desire and passion to become an Osteopathic Physician. And so she did. Dr. Pharo graduated from Texas College of Osteopathic Medicine in 1988. Dr. Pharo did her internship in Houston and opened her first office in 1989. 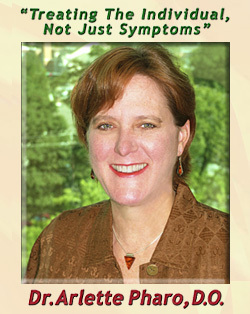 In 1990 she attended her first American Holistic Medical Association, (AHMA), conference. 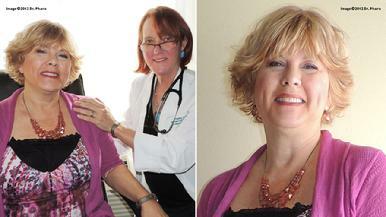 It changed her life and the focus of her vision for her medical practice. Dr. Pharo served on the board of directors for the AHMA for eight years. She was the co-chairman for the 1994 AHMA International Conference, �The Language of Medicine, Redefining Health and Healing�. Dr. Pharo has received research grants and presented her findings at national and international conferences. She has been a keynote speaker at several national conferences. She is published in several magazines. She has been on TV and radio. Dr. Pharo has been a member of the American College for the Advancement of Medicine, ACAM, where she received her training in Chelation therapy. She has been attending conferences for Functional Medicine, presented by The Institute for Functional Medicine for years. Dr. Pharo is committed to her "AwakenHealth" vision, research, education and to educating her patients about awakening their health. D.O. (osteopathic physicians) and M.D. (allopathic physicians). �Doctors of Osteopathic Medicine combine the art of healing with the art of caring..."
- Extra training in musculoskeletal system: D.O.s believe that all of the body's systems work together and that disturbances in one system may impact function elsewhere in the body. -Osteopathic Manipulative Treatment: (OMT) is the use of the physician�s hands to diagnosis injury and illness and to encourage the body's natural tendency toward good health. People of all ages can benefit from the many benefits of OMT. OMT can relieve pain and dysfunction as well as improve mobility. OMT can treat physical aliments such as back and neck pain. OMT can be used to relieve the discomfort associated with asthma, sinus disorder, carpal tunnel, migraines, menstrual pain, and post hysterectomy pain. by Dr. Arlette Pharo, D.O. Imagine a brilliant sunset, or the birth of your child, or the celebration of the anniversary of your commitment to the one you love. Now imagine taking that beauty, that wonderful celebration and committing to your own health. Not an easy task for most of us. We are challenged by our, �I don�t have enough time�. Maybe a small change in our choices would provide a healthier life. Thinking about giving yourself a healthier lifestyle can be very overwhelming, even embarrassing or confronting. Healing is more than the treatment of symptoms. True healing also involves the awakening of each individuals healing nature and human nature. AwakenHealth is not a magic pill, miracle diet or any one-size-fits-all concept. AwakenHealth �is about You�. Are you ready to commit to that very special priority? Put yourself at the top of your To Do List! AwakenHealth is about working with a compassionate, caring, educated physician that can provide the right guidance and the best medical help for your unique needs and situation. Making the commitment to your health priorities is not easy. Finding the right physician with the right credentials, skills, knowledge base and compassion is not easy. If you are looking for a physician for your entire family that listens, spends time with you, works with you to address your health needs and offers a holistic integrative approach for your health, you are looking for Dr. Arlette Pharo, D.O. Dr. Arlette Pharo, D.O. is a Holistic Family Physician who specializes in Integrative Medicine, the blend of Alternative and Conventional Medicine. 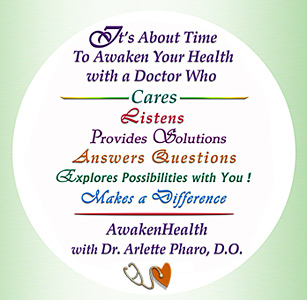 Dr. Pharo designs "AwakenHealth Programs" to work with each patient's unique health needs and circumstances. Dr. Pharo believes in �Treating The Individual, Not Just Their Symptoms�. Click on Picture Above to View Larger AwakenHealth Image. every outcome of life's events. 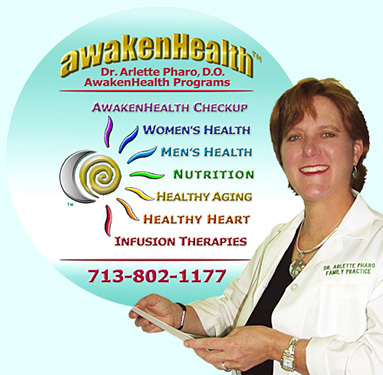 "AwakenHealth Program Logo & Photo"
AwakenHealth Programs do not come in a one-size-fits-all package. discover each individual's unique "AwakenHealth" needs. 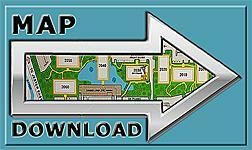 "CLICK" on Phone Number in Art Above for Appointment Info, Address, Active "Map Quest" Driving Directions and Ways To Contact Dr. Pharo.